The Himalaya is the youngest yet highest mountain range in the world and forms a natural border for Nepal in the northern front. For Nepalese these mountains are the sacred abode of the gods but they also continue to captivate millions around the world due to their sheer majesty and beauty; tempting thousands to attempt at conquering its peaks. 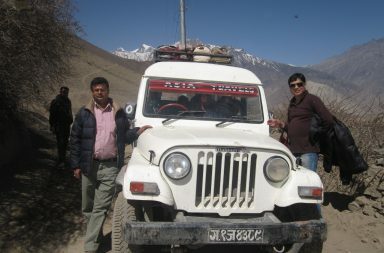 Those who actually reach the Himalaya will tell you that the experience can indeed be very humbling. As the aircraft takes off and heads towards the east, you don’t have to wait too long to find out what’s in store for you. 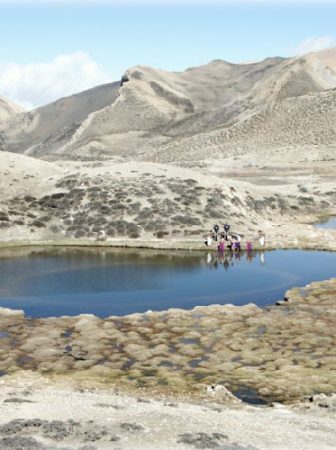 First to you’re far left, you see Gosaithan, also called Shisha Pangma, standing at the majestic height of 8,013m. 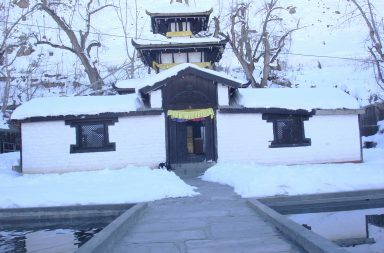 Immediately to the right of Gosaithan, there appears Dorje Lhakpa (6,966m), a mountain that looks like the number * lying down and covered with snow. To the right of Dorjee Lakpa is Phurbi-Chyachu, which looms over the Kathmandu Valley. As the plane glides along, the mountains come closer and closer. Next on the vision is Choba-Bhamare, the smallest one of the lot at 5,933m but singularly stubborn as it has never been climbed. Then appears the mountain that is not only prominent in sight but also in spirituality – Gauri-Shankar. 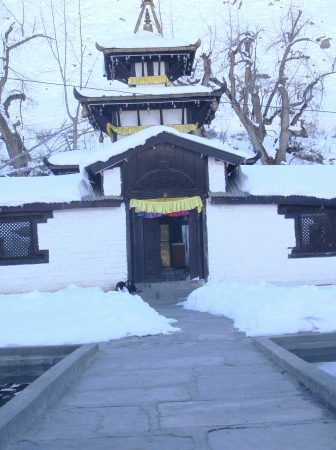 Lord Shiva (Shankar) and his consort Gauri are said to protect this mountain, at the proud height of 7,134m, and the summit had a history of unsuccessful attempts till 1979. Gauri-Shankar is sharp and very conspicuous during the mountain flight. 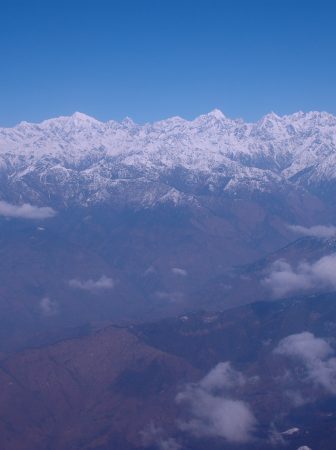 As the plane moves towards the land of the rising sun, the eastern Himalaya, a succession of glorious mountains follow. Melungtse, a plateau-like mountain, stretches up to 7,o23m. Chugimago at 6,297m is still a virgin waiting to be climbed. At 6,956m, Number Mountain resembles a breast, the maternal source in the sky providing pure milk to the Sherpas of the Solukhumbu. Next is Karyolung, an intensely white mountain that at 6,511m gleams with the rising sun. Choyu is the sixth highest mountain in the world. Reaching a height of 8,201m, it appears stunningly beautiful the aircraft. 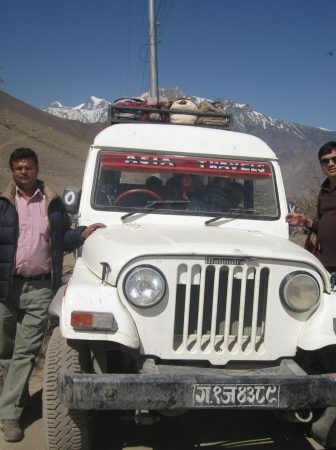 See the Himalaya from up close; for every Nepal visitor, the Himalayan range awes and fascinates. Mt. flight is one of the biggest attractions for the Himalayas. For those who are restricted by time or other consideration from going trekking, mountains flights offer a panoramic encounter with the highest muntain and the alternate to climbing and ensure a lasting memory of the highest peaks on earth. The plane departs from Kathmandu and flies alongside the Himalaya to give you eye-level views of the snow peaks and then brings you back in one hour. Cruising close to the awesome massifs of rock and ice, the flight presents a mind-boggling sight. What would on the ground take days of travel can easily viewed in a matter of minutes and from within the safety and comfort by the flight. One of the most distinct features perhaps is the receding snowlines and the glaciers, proof of climate change and global warming. As the flight begins to head back to Kathmandu one cannot but help consider that we have but one earth and we must all work towards preserving its natural beauty for our children. 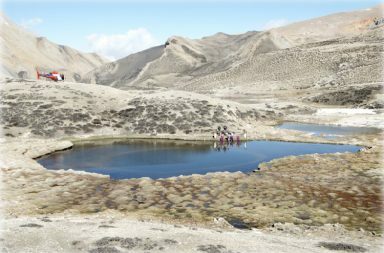 Tour Highlights: This unique tours offer Culture & Historical heritage sites includes 5 culture heritage sites in Kathmandu, Many Panoramic views of Himalayas Including Mt. Everest. Arrival in Kathmandu Pickup from Airport, transfers to Hotel, Briefing about programme , Evening leisure, overnight. Early in the morning go for Mountain Flight, back to Hotel. 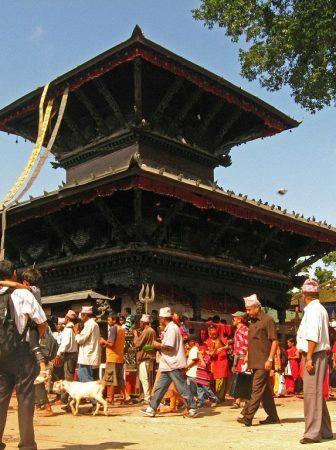 After breakfast half day Kathmandu city Sightseeing, Place to visit – Pashupatinath, Bouddha Nath, Budhanilkantha,. Back to hotel, overnight.